Title first published in 2003. Conflict and Security in the Former Soviet Union examines the Organization for Security and Co-operation in Europe (OSCE)'s approach to post-Cold War tensions and conflicts in the former Soviet area, the extent to which the new procedures, mechanisms and instruments developed by the organization are useful, and how the OSCE's activities may reveal innovative contributions to conflict studies. 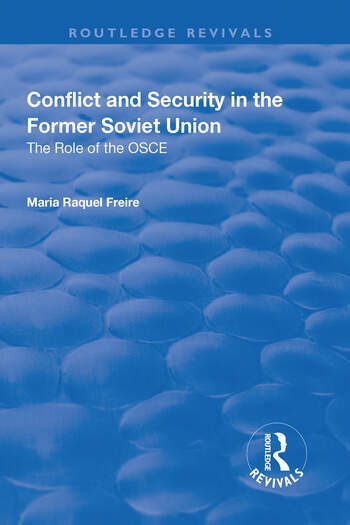 Contents: Introduction; The OSCE as an institution; Turf wars in the development of the European security architecture; Russia, its neighbors and the OSCE; Post-Cold War conflicts in the OSCE area; Case-study: the OSCE in Estonia; Case-study: the OSCE in Moldova; Prospects and Conclusions; Bibliography; Index.